View our staff directory here. Daniel Marsh’s work in the field of economic and community development has spanned 30 years in the public, private and non-profit sectors and includes all aspects of business finance and real estate development. At the National Development Council (NDC), which he joined in 1986, Marsh has served as a Regional Director and Senior Manager prior to assuming his current responsibilities directing NDC’s Policy and Advocacy work in Washington, D.C. Mr. Marsh also serves as President of the NDC Housing and Economic Development Corporation, NDC’s development and financing arm, and is credited with creating its nationally recognized P3 program using tax-exempt financing for social and traditional infrastructure development. 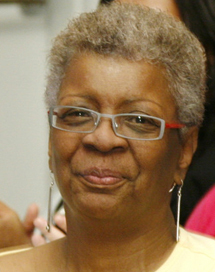 Before joining NDC, Marsh served in a number positions for the City of Newburgh, New York, beginning as a project administrator and later administering the City’s CDBG program and then a variety of its economic development activities, including the creation of Newburgh’s first marketing and outreach strategies and programs. He then served as Executive Director of Newburgh’s Office of Economic Development, carrying out a revitalization program that brought over $100 million in investment to what had been one of the nation’s most economically distressed cities. During that same time, he was the founding director of the Newburgh Local Development Corporation and Executive Director of the City’s Industrial Development Agency, overseeing both the financing and development of key commercial and industrial real estate projects and created New York State’s first Small Issue Industrial Revenue Bond Pool. David Trevisani is the Chief Operating Officer of NDC’s New Markets Tax Credit Program, part of NDC’s Housing and Economic Development Corporation (HEDC), a real estate development arm of NDC that has developed close to $1 billion of projects ranging from affordable housing to municipal office buildings. He previously served as a Director on NDC’s East Team, providing technical assistance to units of government and non-profit organizations on affordable housing and economic development projects. He also has a broad classroom repertoire including ED202–Real Estate Finance, PD515–New Markets Tax Credits, HD420–Rental Housing Development Finance, HD422–Computer Spread Sheet Analysis for Housing, HD430–Housing Development Finance: Problem Solving and Deal Structuring and Mixed-Use Real Estate Finance. David previously acted as commissioner of Urban and Economic Development for his hometown of Utica, NY, managing the City’s Planning and Community and Economic Development office. He currently lives in upstate New York with his wife and three children. Managing Director, NDC HEDC Affordable Housing/ NDC Corporate Equity Fund, L.P.
Ann has over thirty years of experience in community development and finance, specializing in affordable multi-family housing development, with a full working knowledge of financial underwriting for community real estate development. In her role as Managing Director of NDC HEDC Affordable Housing, Ann is responsible for oversight of NDC’s Low Income Housing Tax Credit initiative, the NDC Corporate Equity Fund; she oversees investor relations and fundraising, investor due diligence and reporting and the asset and financial management activities of the General Partner of the Fund. The fund has raised over $550 million of equity and created over 8,500 units of affordable housing nationwide. In her role as Chief of Financial Management for NDC and all of its affiliate corporations, Ann is responsible for coordination and monitoring of all of NDC’s financial operations. Her responsibilities include budgeting, financial planning and reporting to NDC’s President and the NDC Board of Directors on all financial aspects of the corporation. Ann has served as the Chief of Staff to NDC’s President for over twenty years. Prior to joining NDC in 1995, Ann was Vice President and Senior Finance Officer of the Brooklyn Economic Development Corporation (BEDC), where she managed the Brooklyn Commercial Loan Program and the Regional Economic Development Assistance Program. Prior to BEDC, Ann was a senior product development and analytical chemist for an international consulting firm serving the brewing industry. Ms. Vogt received a Bachelor of Science degree in Chemistry from the College of New Rochelle and a Master of Business Administration in Finance from Iona College. She serves on the New Markets Tax Credit Advisory Boards of Citibank, Dudley Ventures and Fifth Third Bank. Angela Butler currently serves as a Director and Senior Vice President at the National Development Council (NDC), one of the nation’s oldest national non-profit community development organizations. NDC’s sole mission is to increase the flow of capital to underserved urban and rural areas for job creation and community revitalization. Angela is responsible for capital raising for NDC and the Grow America Fund, NDC’s small business lending arm, as well as all PR and Marketing. Prior to her current position, Angela served as a Vice President and Community Reinvestment Act (CRA) Officer for Carver Federal Savings Bank. Prior to joining Carver, Angela was an Assistant Vice President in the Merrill Lynch Community Development Company where she focused on the execution of deal underwritings and assisted in managing a portfolio of more than $400 million in loans and equity investments. Angela has been a member of Alpha Kappa Alpha Sorority, Incorporated for 22 years and most recently served as President of the Pi Kappa Omega Chapter in Manhattan. 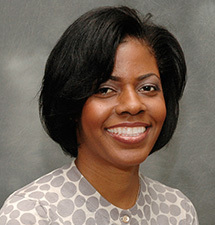 Angela earned an MBA in Finance and Real Estate from Columbia Business School in 2006 and a Bachelor of Science degree in Mathematics and Computer Science in 1992 from Southern University, Baton Rouge, LA. Gertrude serves as the Head of Human Resources. Prior to assuming this role, Gertrude directed financial planning, procurement and investment of funds for the National Development Council for over 33 years. 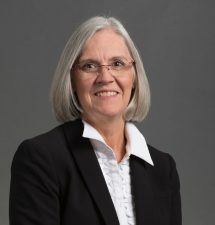 During her time as CFO, she guided NDC from a manual to a comprehensive computerized accounting system. Working closely with auditors to insure the timely preparation and publication of interim and audited financial statements. Other duties included multi-state tax preparation and annual corporate reporting to various state, city and local municipalities, as well as analyzing financial records and forecasting future financial positions and budget requirements to management. Gertrude developed the policies and procedures in the area of Human Resources. She has authored NDC’s first employee manual. As NDC’s Director of Human Resource, Gertrude oversees all aspects of NDC’s fringe benefit package. Gertrude is a graduate of Pace University in New York City. John Palyo currently serves as President of NDC Grow America Fund (NDC GAF). NDC GAF is a community development bank authorized to make loans under the Small Business Administration 7(a) program throughout the United States. 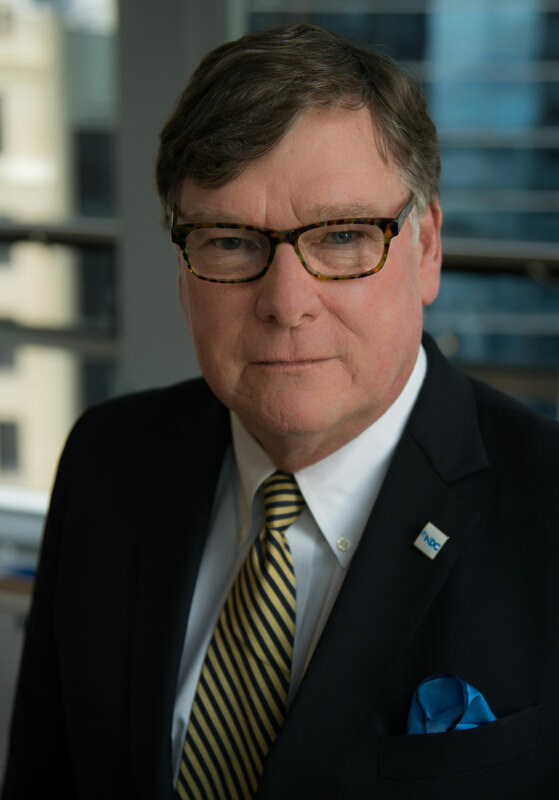 John has been a Director with the National Development Council since 1998 and as President of GAF he oversees all lending operations of the Fund, which is also operates as a Certified Development Financial Institution. John regularly teaches several NDC training courses including ED101–Economic Development Finance and ED201–Business Credit Analysis. Prior to joining GAF, John worked for five years at JP Morgan Chase and Nat West as a loan underwriter working on a range of business loan products ranging in size from $50,000 to $2 million. 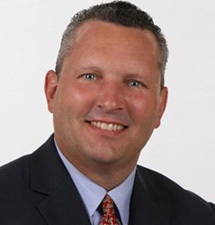 Kevin Gremse is an economic development professional with over two decades of experience. Kevin has used his working knowledge of business credit and real estate underwriting and proven experience with federal, state, and local economic development incentive programs to structure development transactions exceeding $600 million throughout the country. As a Senior Director at NDC, Kevin manages a team of professionals who work in over thirty municipalities in the eastern United States. Kevin coordinates a multi-disciplined set of economic and housing development services, including technical assistance, training, and financial services to public and private sector clients. Kevin assists to advance the work of NDC’s affiliated programs, including its federal tax credit investor programs, its pubic facility development division, and its small business lending company in client communities. Kevin is a widely experienced instructor for many of NDC’s economic and housing development finance courses and professional development programs. Kevin is a graduate of the University of Scranton and earned a master’s degree in public finance from the University of Pennsylvania’s Fels Institute of Government. Prior to his career NDC, Kevin worked in the economic development field with several municipalities and also served in the Jesuit Volunteer Corps (JVC). 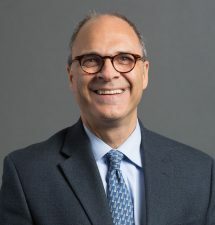 He currently serves on the board of directors for Catholic Charities of Fairfield County and the Community Capital Fund, a community development financial institution (CDFI). He lives in Connecticut with his wife and four children. Chuck Depew is West Team Leader for the National Development Council, a national non-profit that provides economic and community development assistance to local governments. For more than 30 years NDC has worked with local jurisdictions on multiple housing and economic development efforts. Chuck provides technical assistance in project finance, development negotiation and housing finance to communities throughout the Northwest, including Utah and Wyoming and Northern California. In addition, he teaches commercial and housing real estate finance nationwide in NDC’s leading training program. Prior to his tenure at NDC, Chuck was Deputy Director of the Office of Economic Development for the City of Seattle. He has over 30 years of experience in public finance, housing, economic and community development. Mr. Depew has a Bachelor’s degree in Environmental Planning from the University of California, at Santa Cruz; and a Master’s degree in Urban Planning from the University of Washington. Stephanie Dugan is an economic development professional and currently is Director of Training. She manages several technical assistance contracts and also teaches NDC courses in Economic Development Finance, Business Credit Analysis, Problem Solving & Deal Structuring, Home Ownership Finance, Mixed Use Real Estate Finance and Low-Income Housing Tax Credits. She has assisted a number of clients to secure federal and state Historic Rehabilitation Tax Credits and New Markets Tax Credits. She provides development assistance to nonprofit organizations interested in using Low-Income Housing Tax Credits for affordable housing projects. Most recently, she assisted a small housing authority with its fourth tax credit project – the $20 million redevelopment of a former public housing site into 80 units of affordable housing using a combination of LIHTC equity, HOME Investment Partnership funds, public housing funds and private debt. She draws on experience gained as the Assistant Director of Economic Development for the City of Abilene where she administered a small business finance and incentive program, capitalized at $6 million per year. Prior to leaving the City of Abilene, she served as project manager for the “Windsor Hotel,” $5 million downtown restoration project. Stephanie holds of Bachelor of Arts Degree from Texas Tech University in Economics.